3D printing material simulation to 3D print rubber, wood, etc. Choosing your 3D printing material is not always easy, and having a comparison point can always be helpful. If you want to 3D print a material similar to rubber, porcelain or wood, for example, the usual information sheet might not be enough to inform you. In this article, we will compare 3D printing materials to more usual materials, found in daily life or in traditional manufacturing. 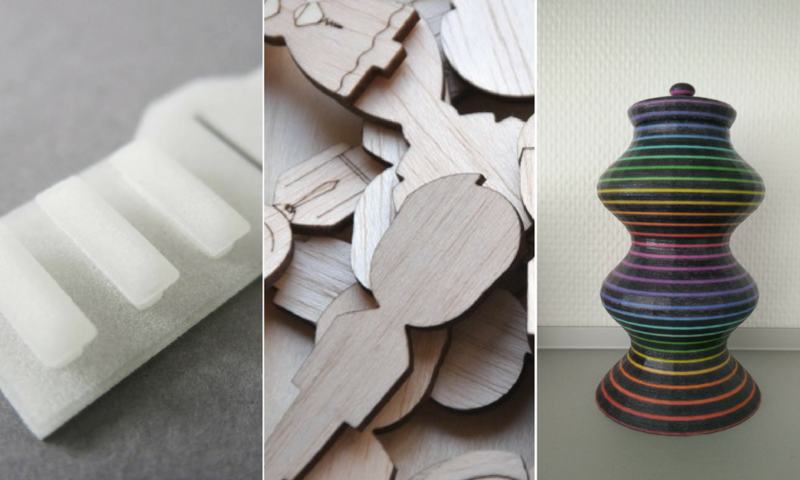 Get a more precise idea of which 3D printing material is best for your project, and start making the most of this amazing technology! How to simulate metals with 3D printing materials? You can actually 3D print metals directly, with different 3D printing techniques and types of materials. The key is to think about why you’re thinking about using metal in the first place. Do you want to 3D print metal for its aspect? 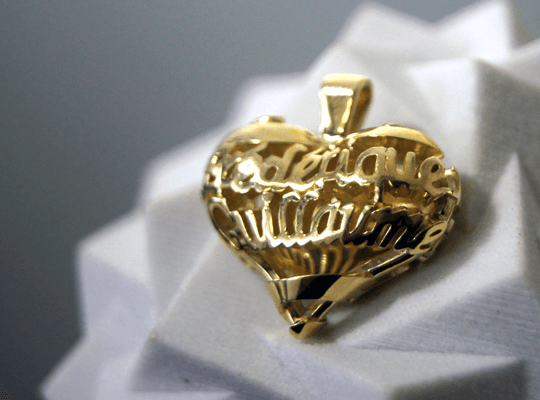 Then you can use the lost-wax casting 3D printing technique: this technique is often used for jewelry. 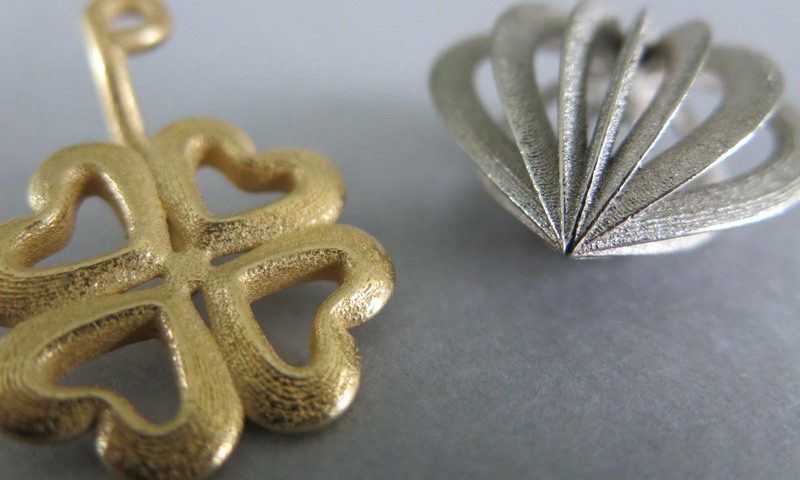 At Sculpteo, you can 3D print brass or sterling silver using this method. The 3D printed parts are smooth and look like precious metal, conserving its aesthetic properties. However, the 3D printed parts won’t be as resistant as traditionally manufactured metal parts. To learn more about the lost-wax casting metal 3D printing technique, and those 3D printing materials properties, click here. In the same category, you can try metal Binder Jetting. With this technique, the 3D printed metal part is less smooth, but still, keeps the aspect of metal. 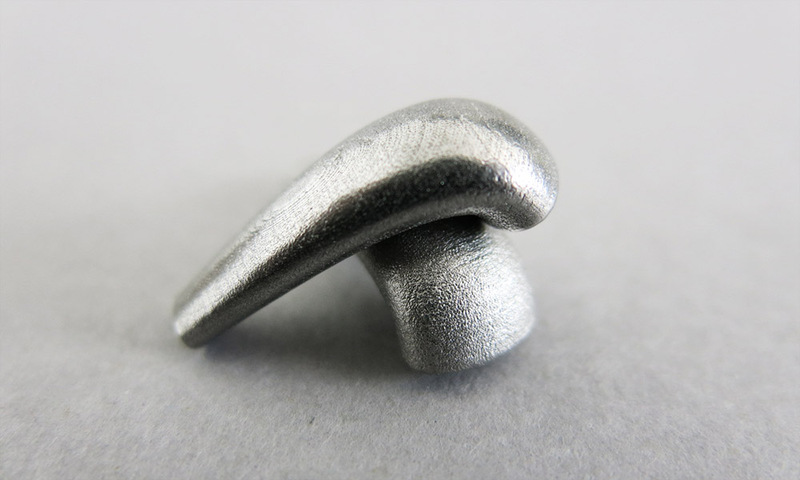 We offer a great stainless steel 420 BR 3D printing material manufactured with this 3D printing technology. It is ideal for prototypes, decorative objects, and jewelry. 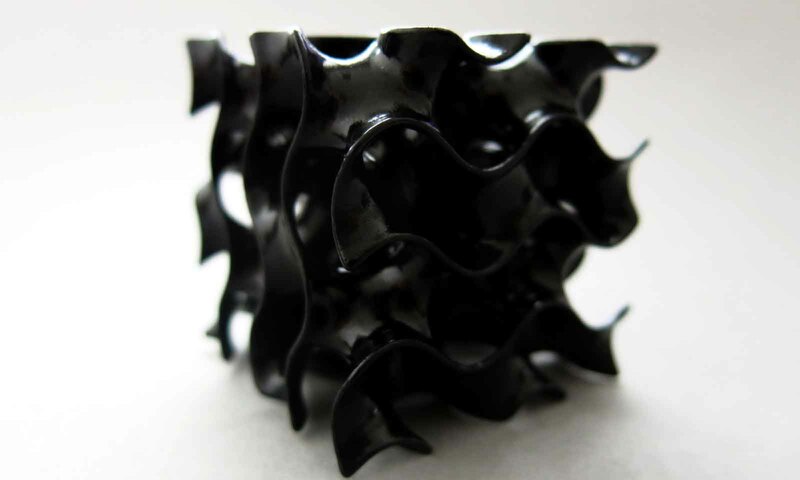 To learn more about this material and 3D printing technology, click here. Do you want to 3D print metal for its technical properties? Well, you can achieve that too with 3D printing. You’ll simply need to use the most precise metal 3D printing techniques: SLM and DMLS. Thanks to this technology, the metal 3D printed part has mechanical properties akin to those of any traditionally manufactured part. Parts 3D printed in Stainless Steel 316L (DMLS), Titanium 6AI-4V or Aluminum AISi7Mg0,6 are used in industries such as aeronautics or medicine. Direct Metal Laser Sintering (DMLS) and Selective Laser Melting (SLM) are incredible technologies that create extremely precise parts with designs that sometimes couldn’t be created without 3D printing. 3D printing metal is better than a simple material simulation: it creates a whole new world of possibilities. Read more about metal 3D printing, about the possibility of topological optimisation, and discover our brand new metal, 3D printed with the ExOne technology: Stainless Steel 316. Is metal best for your application? 3D printing might give you alternatives to your metal part in other types of materials, that are just as efficient in terms of technical properties. 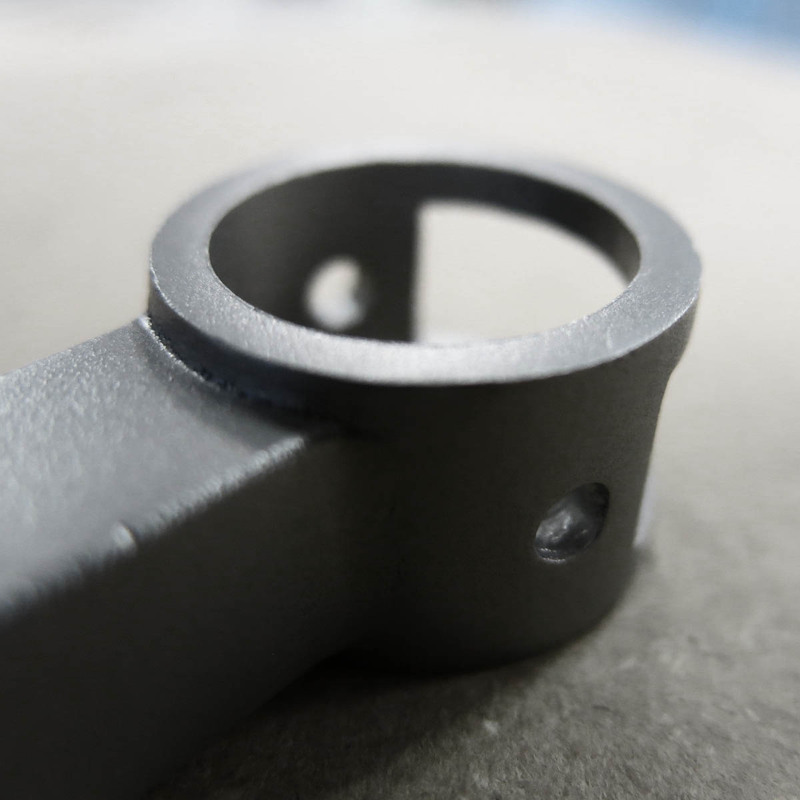 If you’re considering metal for its strength and resistance and not for its specific characteristics like conductivity or aspect, learn about 3D printed Nylon 3200 Glass-Filled, CarbonMide, and Alumide, or even our Polyamide which can perfectly fit your application. Of course, our customer service is here to help you decide! For a few examples, read about the 3D printed bike we created using Titanium 6AI-4V, but also Alumide and CarbonMide. You can also read our customer stories and get inspired to vary your material uses, in this free ebook: Top 21 3D Printing customer stories. How to simulate plastic with 3D printing materials? Like metal, plastic can be 3D printed directly: it is actually the most commonly used 3D printing material, whether it is used with the selective laser sintering (SLS) 3D printing technology, or with Fused deposition modeling (FDM). For most classical uses of plastic, you can create your part with these technologies, using for example our White Nylon PA12, Black Nylon PA11, Grey Nylon PA11/12, or Multijet Fusion PA12 (HP Black Plastic) that uses the new Multi Jet Fusion technology. If you want to create a very flexible object, similar to rubber, you can use three main 3D printing materials: Flexible Polyurethane (FPU), Elastomeric Polyurethane (EPU), or Polyether block Amide (PEBA 2301) which is a very flexible plastic. EPU and FPU are two resins 3D printed using the CLIP (DLS) technology, and PEBA is a flexible plastic, 3D printed with the SLS technology. Once again, you can check out our 3D printed bike story: we used EPU for the handle covers, and its flexibility was extremely convenient! What about 3D printing transparent plastics like acrylic plastic? However, not all plastics can be simulated with these materials. For example, if you want to create a transparent part, the way you would with some acrylic parts, you might want to look into our 3D printed Polyjet Resins. With this technology and 3D printing material, translucent parts can be 3D printed in white or red. However, they won’t look and feel like transparent plastic, as they are less smooth and less perfectly transparent. Sometimes, it’s interesting to look into other digital manufacturing techniques, like laser cutting. 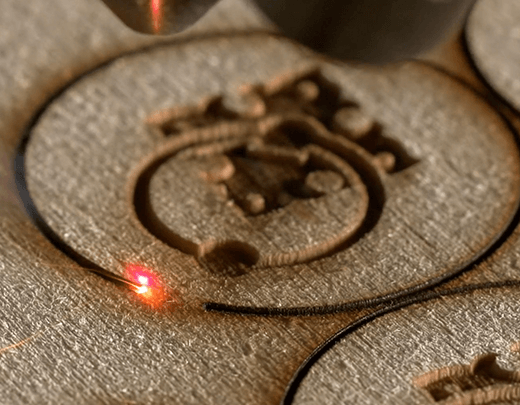 Laser cutting is often seen as a technology that can only create 2D parts. But it can also be used for 3D objects, and should be thought of when you’re designing your object. Read here about how living hinges can put a twist into your 2D objects. And learn here about our laser cutting PMMA material (also known as acrylic plastic). How to simulate porcelain with 3D printing materials? The closest you can get to 3D printing porcelain is our 3D printed Composite Multicolor material. With this material, you can 3D print your object directly in color. The feel of the object won’t be like porcelain, of course, it is rougher, and you can feel the grain of the powder that is used for Binder Jetting. Like porcelain, this material creates quite fragile objects, that are best used for aesthetic purposes. Learn more about our Composite Multicolor 3D printing material, and about the Binder Jetting technique, we use to produce those parts. And to go further, learn more precisely how multicolor 3D printing works and what it is for in this article. You can also create objects similar to porcelain with our 3D printed plastic. This, however, only creates monochromatic objects: you can 3D print in White Nylon PA12, Grey Nylon PA11/12, Black Nylon PA11 using SLS, or Multijet Fusion PA12 using the new Multi Jet Fusion technology. For white Nylon PA12, you can also have the part painted or dyed in 17 colors. For a smoother touch, we offer two finishes: Polishing and Smoothing Beautifier. You can also have the part varnished. How to simulate wood with 3D printing materials? It is also possible to 3D print wood, but it is more of a “gadget” technology, which doesn’t provide strong parts or even a satisfying aspect. Like I explained for acrylic plastic, it is interesting for a material like wood to think out of the box and turn to other digital manufacturing techniques like laser cutting. Once again, check out our tutorial to create living hinges, and learn about our laser cut woods: Plywood and MDF. Here you go, I hope this article helped you choose among 3D printing materials, by comparing them to more common materials. If you want to have a global overview of the materials you can use with our online 3D printing service, check out our 3D printing material catalogue. And don’t hesitate to give 3D printing a try: upload a 3D file now.